Jack is a fifth-year student pursuing a master’s degree in UVA’s Curry School of Education, having already earned his undergraduate degree from the College of Arts and Sciences as an Anthropology major. He is a redshirt fourth-year member and two-year captain of the Men’s Basketball team. 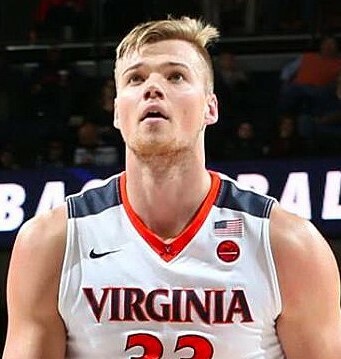 Additionally in June 2018, Jack was named to the roster of the MBO Tall Blacks, New Zealand’s national team. Jack has a strong record of community involvement in the Charlottesville area, centered on teaching young children basic reading and writing skills. Salt has volunteered at local elementary schools through community organizations such as Day in the Life and Athletes Committed to Education, and he has help build houses through Habitat for Humanity. Salt graduated from Westlake Boys High School in Auckland, New Zealand, where he played basketball, served as head prefect and was an honor roll student.